After a treatment with fat stem cells Mrs. Vogel can dance again. Mrs. Vogel has always been very agile. But severe knee pain limited the vital elderly lady a lot and forced her to give up her hobbies. “I always used to be out of the house, I loved dancing and strolling through the city. Having to stop these activities because of joint pain was very hard for me,” Mrs. Vogel looks back. An artificial joint and surgery under general anesthesia did not come into consideration. Then she learned about an alternative treatment: Stem cells contained in body fat can contribute to the regeneration of damaged joints. Published in Unsere Generation in February 2019. Treatment of osteoarthritis and damaged joints with stem cells from body fat. Just a few months ago, the prominent owner of the hairdresser OSSIG, Karl “Charly” Josef Plasil, could barely climb stairs, walk, or do sports because of pain in the knee joint. He did not want to accept this situation any longer. In the meantime, he is cycling and skiing again and is walking quickly on foot – thanks to a knee treatment with stem cells from his own body fat. Physical activity has always been an essential part of Charly Plasil’s life, whether he is styling his celebrity customers together with his team in his salon OSSIG hairstyle & beauty, or when he pursues his favorite leisure activity, sports. The Viennese doctor DDr. Karl-Georg Heinrich is active in the field of regenerative and aesthetic medicine. For years, he has been dealing with body fat and its benefits for health and beauty. In addition to the application for breast augmentation, body fat and its components also play an important role in the regeneration of damaged body tissue. 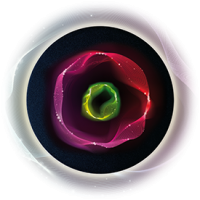 The regenerative potential of the “mesenchymal stem cells” or “stromal vascular fraction”, which are abundantly contained in fat tissue, has now been proven by a number of studies. “Stem cells from fat tissue have anti-inflammatory and regenerative effects in the body. In the treatment of joint diseases with stem cells, medicine makes use of this natural healing mechanism of the body,” explains DDr. Karl-Georg Heinrich. After a detailed assessment of his complaints, Charly Plasil was comprehensively informed about the treatment method, the course of the planned procedure, the necessary preliminary examinations, and the aftercare by DDr. Heinrich. Optimally prepared, he eagerly looked forward to the day of the treatment. Under local anesthesia, first a small amount of fat was obtained. Mesenchymal stem cells were separated from this body fat during the surgery and immediately thereafter injected into the region of the affected knee joint. “Generally, the therapy can be performed on all joints, i.e., the knee, hip, hands, or fingers,” explains DDr. Heinrich. “About three weeks after the treatment, the pain subsided and I was able to move better. Now I’m completely free of pain in the knee and fully mobile as before! This means that I can even do the most demanding haircuts again,” Charly Plasil is delighted by the results of his stem cell treatment. “Recovered mobility means a huge gain in quality of life for me,” says Charly Plasil. DDr. Heinrich is pleased with the recovery and treatment success of his patient too. “The fat stem cells obviously stimulate the regeneration of the cartilage in the damaged joint and help the body to remedy the cause of joint problems,” says DDr. Heinrich. This could spare many patients surgical procedures under general anesthesia, artificial joints, as well as the associated long healing period and the elaborate rehabilitation. Studies and experience reports show that the joints hurt less after the treatment. Vienna. Two out of three people over 65 are affected by osteoarthritis. Many younger people also suffer from joint problems, e.g., after sports injuries. Until now, medicine has only been able to treat symptoms such as pain and immobility. In order to restore the mobility of the damaged joints and to alleviate the pain, so far one had to rely on a drug treatment or an artificial joint replacement. Recent studies and experiences now show that stem cells from body fat can alleviate pain and immobility and contribute to the regeneration of the damaged joints. For example, a patient suffering from osteoarthritis of the thumb joint (carpometacarpal osteoarthritis) was successfully treated with stem cells from her own fat at the university hospital in Graz, Austria: The patient’s own fat stem cells were injected into the region of the thumb joint of one hand during the procedure. As a result the mobility improved and the patient could use the hand again. Due to the success achieved and the gentle treatment process the patient now wishes to have her other hand treated with stem cells too. 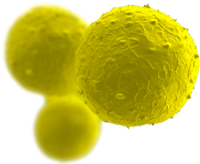 “Stem cells from fat tissue have an anti-inflammatory and regenerative effect in the body. Regenerative medicine makes use of this healing mechanism of the body in the treatment of joint diseases with stem cells,” explains Karl-Georg Heinrich, a doctor from Vienna who is working in the field of regenerative and aesthetic medicine. The joint treatment with the body’s own stem cells from fat tissue is performed on an outpatient basis in local anesthesia. “The fat stem cells obviously stimulate the regeneration of the cartilage in the damaged joint and help to remedy the cause of the joint problems,” says Heinrich. Published in Salzburger Nachrichten on January 18, 2017. Hazelnuts, walnuts, peanuts, or macadamia – Nature is providing a large variety of nuts. And all of them have something in common: New scientific finings show that the consumption of nuts has a very positive effect on our health. This is also the case for almonds and cashew nuts, which belong to the botanical family of stone fruit, as well as peanuts, which are leguminous plants. “Nuts and raisins”, which mainly consists of nuts, is typically eaten by students for a reason. Nuts, rich in Tryptophan, are not only increasing the feeling of happiness, but also help to maintain the concentration needed for studying. An additional benefit is: The high magnesium content helps reducing stress and additionally Vitamin B helps strengthen the nerves – thus nuts are referred to as nerve food. Nuts can also be referred to as “heart food”, since recent findings show that even a small quantity of nuts can reduce the risk of coronary heart diseases by 30 %. This is confirmed by a systematic overview published by researchers from the Imperial College London and the Norwegian University of Science and Technology (NTNU), who analyzed multiple studies, which included a total of more than 800,000 participants. According to their study, the risk of diabetes and even cancer can be reduced by frequently consuming nuts. The recommended daily dose is approximately 20 grams. The consumption of bigger quantities of nuts would not provide additional health benefits according to the overview. Due to the high nutritional value, the overconsumption of nuts would also not be advantageous for the body shape. Even our ancestors in the Stone Age (Paleolithic Age) were consuming nuts. The Paleo diet, which is inspired by the eating habits of that time, recommends consuming food that was accessible to the human by hunting and collecting. This includes, next to nuts, also meat, vegetables, mushrooms, and fruits – so everything humans could find in the Stone Age when wandering around through woods and meadows. Lactates, plant oils, and cereal products could not yet be produced and therefore are taboo in the Paleo diet. The right diet is the key to achieve the ideal body weight. In comparison to crash diets, of which celebrities are big fans, the Paleo diet only reduces the carb consumption and encourages consuming fats and proteins. Nuts, for example, contain a big amount of unsaturated fats, which have a positive influence on the cholesterol level and therefore can reduce the risk of obesity over a long period of time. In addition, proteins and fibers contained in the nuts make the body feel saturated quicker and provide more energy for body and soul. Further, nuts contain multiple antioxidants, minerals, and trace elements, which – as research shows – keep us healthy. Whoever wants to do something beneficial for their body, go ahead and – like our ancestors in the Stone Age – eat a handful of nuts a day. It’s been a year since my wife and I came to see you in Vienna from North America and a lot has changed for the both of us, all good, since our visit. Here is a little background and expression of our sincere gratitude for all the mental and physical well-being your procedures have brought to our lives. Until my wife became sick we were two middle-aged parents and business owners who ate well, never smoked, exercised, didn’t drink often, lived a full and happy life. Then things changed on a level we never imagined. My wife Elizabeth became ill and it lasted for approximately 2 years. Here is the very short story. She was going anaphylactic monthly (sometimes twice a month) with trips to the hospital after we administered the epi-pen and invariably the hospital would have to administer more epinephrine and steroids to keep the facial swelling at bay. She would stay swollen and unrecognizable for up to 5 days and in pain. This would also involve severe redness, rash, and the usual skin sagging as a result of the swelling. She battled an ongoing unbearable rash over this two-year period that was prevalent whether or not she was going through the anaphylactic stage. Her immune system was also breaking down. They found two overgrown cysts in her breast, which she had removed. Still no improvement in her health. We saw many specialists, allergists, immunologists, dermatologists, the list goes on, in Canada and the USA to no avail. There was no indication through high-level testing or keeping extensive records of what was eaten, environment, etc. as to what the trigger was. Eating totally organic, gluten-free, no alcohol for well over a year hadn’t helped significantly. Two years into this painful process we were no closer to answers than when we started. Dealing with this sickness, work and family consumed our life with no time or energy left. This paragraph cannot begin to convey the disappointment we felt with the traditional medical system, and the desperation we felt knowing that there was no end in sight. During this time we also explored many non-traditional methods of treatment to combat anaphylaxis, rash, and immune rebuilding with limited success at best. In our search we came upon stem cell therapy, which led us to Dr. Heinrich. There are a few places in the States that do stem cell therapy that we called and researched, but we liked Dr. Heinrich’s methods better. One of which is using your own PRP to enhance the stem cells’ effectiveness. 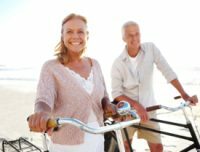 During our research we were also intrigued with Dr. Heinrich’s suggestion of bioidentical hormone replacement to further enhance recovery and overall health. For myself (Mark) being over 50 and having a high-stress job and dealing with my wife’s ongoing illness it had deteriorated my overall health. My bloodwork showed low red and white blood cells along with a few other abnormalities. I was still functioning but I was drastically losing my edge. Needless to say both of our minds, bodies, and spirits were broken when we went to see Dr. Heinrich, but we remained hopeful. Stem cell therapy treatment along with fat transfer stem cell breast injections (Elizabeth had breast surgery to remove overgrown cysts during her two years of sickness which left her somewhat disfigured). We also opted for Dr. Heinrich’s Perfect Skin Powder. Not one anaphylactic episode since the stem cell surgery. We haven’t had to use the epi-pen one time much to our amazement. When the anaphylactic swelling would start, Elizabeth would take 2 to 5 Benadryls to keep the swelling at bay. Many times this worked. This happened on average twice a week or 8 to 10 times a month. Once or twice a month the Benadryls weren’t enough and of course we would have to do the epi-pen and go to the hospital for further treatment. Not only has Elizabeth not had a full-blown anaphylactic episode since the surgery, she has only had a handful of episodes where she would have to take multiple Benadryls to keep it under control. We couldn’t be more grateful for these long-lasting results from Dr. Heinrich. This has been a lifesaver and life changer for us and words cannot express our thanks. Overall mental well-being. The two-year sickness with the unknown outcome and specialist upon specialist not offering any help was a real soul-crushing experience that took a wonderfully happy lady and slowly deteriorated that character. Towards the end there were depression, etc. The combination of stem cell therapy and bioidentical hormones has not only saved her life, there has been a turn around that is remarkable. Mentally she’s better than she’s ever been; better than before the sickness started. We believe that the stress alone with the sickness, not to mention the sickness itself, caused her hormones to be depleted, and it was a downward spiral from there. Being older and not having the body’s ability to produce these hormones like it would when you were younger put us in a very bad place. The bioidentical hormones coupled with the stem cell therapy turned this around remarkably well and it’s long-lasting. Handling life in general. This is being done better than ever. When your body is balanced it can let the mind be its best self. Mentally and physically we feel like we did when we were young. Fat transfer stem cell breast injections. We’re both extremely satisfied with the outcome and results of this procedure. It fixed any and all imperfections from the prior-mentioned surgery. Dr. Heinrich took great care to mold and reproduce a perfectly natural-looking full breast. Knee and joint pain. This was bad to severe at times. It’s gone. Physical well-being. It feels like you’re 15 years younger with so much more stamina and strength. Physical appearance. Looks like your 10 years younger. Perfect Skin. Great product to help your skin look younger and more vibrant. Her nails were terrible due to a weakened immune system. Cracked, discolored, weak, etc. ; her nails now are in perfect health as they always were with no abnormalities what so ever. Blood work. Her blood counts have had a remarkable rebound over the last year to the point now that everything is within normal parameters. I decided after consulting with Dr. Heinrich to get stem cell therapy along with a stem cell injection in my neck and bioidentical hormone replacement. We were going for Elizabeth but my health was fading too which was backed up by poor bloodwork results. My results have been equally positive. I have had problems go away that I got so used to I didn’t even know they were problems. Here is what I experienced in no particular order. I have always been active and in good health. During the time when my health faded, my body would feel as though it were 500 pounds (very heavy) when I would run or work out. This has totally gone away. I had a neck problem for over 7 years where there was pain there every day. Dr. Heinrich gave me a stem cell injection at that spot and after one month there was no pain. It has never resurfaced. I had psoriasis on my elbows for years and it’s now gone. I had elbow pain for about 3 years and it’s now gone. No injection given to my elbow. My mental ability is much sharper and memory much better. I don’t feel like I’m “struggling” any more. Bloodwork after one year is all within normal range. Strength and endurance is much better. Feel 10 years younger and look 5 or so years younger. To us Dr. Heinrich’s program helps people in dire need like Elizabeth, but is not restricted to cases like that as I had incredible results as well. Note: Many of these results took weeks or months to heal. We could notice healing in the beginning but it wasn’t “perfect”. Don’t expect immediate “perfect” results. After weeks or in some cases months we would get involved with daily life and forget about monitoring our healing. That’s when it dawned on us that many things were literally 100 % better. Also on a side note, stem cells and bioidentical hormones don’t “change” you – they help you to become your best self again. On a final note, all of this was a very stressful and hard endeavor to embark on emotionally and physically. We were going to another country where we did not speak the language to get medical procedures that are very “new” to us coming from North America. Dr. Heinrich and his whole team made any and all stresses and worry in that regard go away. From the very first e-mail transaction we were treated with professionalism, kindness, care, and always kept informed. Any and all questions we had were promptly answered. The advance informative webcam appointments were so helpful and made them seem much closer to home prior to going. The language barrier was never a problem either. Furthermore, they went far and beyond the medical care. They took care of helping us decided on a hotel as well as giving us help and suggestions of fun things to do while in Vienna and while we were there made sure we knew our way around and good restaurants to eat at. The entire team that performed the stem cell procedures on us the day of the operation was extremely caring and competent. Our sincerest and heartfelt thanks to Dr. Heinrich and Team. “Queen of Pop” Madonna is already cutting quite a figure onstage for several decades. With hits such as Like A Virgin she conquered the charts by storm already in 1984. In the accompanying video Madonna, then 26, is lolling around lasciviously on a gondola through Venetian alleys, showing a lot of skin for those days. Remarkably the U.S. singer was attending a monastery school in her childhood. As we know the artist attaches much importance to her appearance. No wonder, therefore, that she had tried out all kinds of small aesthetic treatments in her face. Cheeky cosmetic surgeons suppose that many other procedures were carried out on her body. Currently the singer was seen clad with gloves. The reason therefore was neither an unpredictable temperature drop in the middle of the summer, nor a reminiscence of good old times when women mostly wore gloves; the reason was a rejuvenation cure for her hands, which commonly show a person’s true age as is well known. Madonna had undergone a mesotherapy, during which different substances are inserted into the skin for rejuvenation reasons. In doing so growth factors of skin cells (Epidermal Growth Factors, EGF) are injected into the skin areas concerned via fine injection needles. Growth factors stimulate skin cells to regenerate, whereby the skin is gaining vitality. Highly visible veins on hands can also be concealed a bit thereby. Platelet-rich plasma (PRP) extracted from the patient’s own blood can also be used in the process. When practiced in the face this treatment is also called vampire lifting. Cytokines and tissue hormones contained in blood plasma are helping the skin and subcutaneous tissue to regenerate. If the skin is already noticeably aged or damaged due to sunlight the regenerative effect of stem cells isolated from the patient’s fat tissue can be used for a skin treatment. Stem cells are isolated from a small amount of autologous fat, which is obtained in a gentle way by means of liposuction with microcannulas. If the patient anyway wishes for body shaping, this skin treatment can be combined with the liposuction. Madonna would be in the appropriate age for a stem cell therapy of her skin. Even though she is quite lean, it is still possible to obtain enough fat for such a therapy in all patients. Anyone who wants to delay the natural aging process, like Madonna, is well advised with reaching for natural methods for rejuvenation. Natural methods have a lower health risk; unnatural, mask-like results are avoided. Life as woman a by the side of one of the most sought-after men in Hollywood is probably in principle not always easy, especially if you are, like the 59-year-old Deborra-Lee Furness, several years older than her 46-year-old partner Hugh Jackman. They are already married since 1996, a remarkable joy of love for Hollywood circumstances. It seems like nothing separates them – apart from the difference in age. At the Global Poverty Project in New York Furness appeared in the public without her husband and attracted all the attention also therefore. In order to look a few years younger, but also to guard against the female competitors who are permanently buzzing around her husband, Deborra-Lee had started a trial with Botox. But apparently her cosmetic surgeon has meant a bit too well – according to promiflash.de you can see that in Deborra-Lee’s face. Her forehead is now completely smoothened owing to Botox and her cheeks seem upholstered in an unnatural way. Unfortunately the Hollywood actress has even sacrificed her sincere smile to the alleged “Botox fortune”. Just around the eyes there are still likable laugh lines and crow’s feet standing out. Although Botox is helping in smoothing superficial wrinkles, when used repeatedly it causes a degeneration of cutaneous glands, wherefore skin gets increasingly dryer and therefore is looking older. This vicious circle is often intensified by combination treatments with artificial fillers. Injected fillers such as hyaluronic acid in fact bring back facial volume, but they do not improve the quality of the underlying tissue. Quite the contrary, sometimes unnatural knobs and overdimensioned balloon-like faces develop. To obtain her natural beauty we recommend Deborra-Lee to completely refrain from Botox and artificial fillers and instead count on more gentle methods of regenerative medicine. 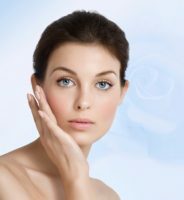 A gentle treatment for rejuvenation of mature skin can be performed with the patient’s own blood (platelet-rich plasma, vampire lifting). Pecious blood platelets are obtained from a small amount of blood. The so-called PRP blood platelets are afterwards injected gently into the skin regions to be regenerated using fine needles. There they release cell growth factors, which cause the rejuvenation of the areas treated. Alternatively you can directly reach for autologous stem cells out of autologous fat. The natural regenerative effect of stem cells is revitalizing cutaneous tissue and provides a juvenile complexion. Regeneration therapies with bioidentical hormones are particularly effective. Due to stress and overstrain or simply because of the natural aging process the capacity of the hormonal glands decreases in the course of the years. Externally the hormonal undersupply of the body is especially manifested in tissue slackening, development of wrinkles, and increasing dry skin and thinner hair. When compensating this lack of hormones skin tissue is regenerating and the complexion is getting bright again. Both externally and internally – a successful treatment of hormonal deficiencies can increase resilience and capacity, and the patient can obtain new zest for life and energy. With the new methods of regenerative medicine Deborra-Lee Furness could have retained her beautiful smile. Because the impact of Botox is only temporary the actress can still decide for more gentle and much more effective treatment methods such as stem cells, PRP blood platelets, and hormones.